Your nervous system controls every function in your body. As you read this, every cell in your body is under the direct control of your nervous system. Every breath you take. Every blink of your eyes. Every beat of your heart. Every meal you digest is under the direct direction of this system. When dealing with a health problem that is not improving, your nervous system function and upper cervical spine should get checked. You should get your nervous system checked right away. It could be the solution you have been looking for! The spinal cord is the information super highway between your brain and your body. If there is dysfunction, different parts of your body can be affected. Mild, moderate, severe breakdowns and dysfunction can occur. The central nervous system is the only system that is 100% enclosed in bone. The skull protects the brain, while the vertebra protect the spinal cord. 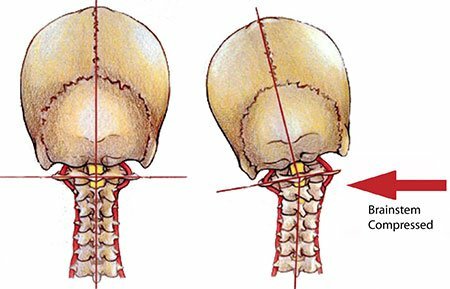 The Brain Stem sits at the level of C1, the top vertebra of the neck. The brain stem acts as the “fuse box” for all brain-body communication. All nerve impulses exiting or entering the brain must pass through this delicate area. This area is the center of the nervous system that controls all of the functions in our body that are “automatic” or that we don’t think about. Functions such as blood pressure, heart rate, digestion, breathing, postural control, etc. Upper Cervical Chiropractic Care focuses on the upper neck. When there is a misalignment in the upper neck, atlas subluxation, abnormal stress is placed on the body. Additionally, symptoms that may not appear to be related to the neck are experienced. NUCCA doctors specialize in upper cervical chiropractic care. Don’t listen to those that have told you that nothing else can be done. That you just have to live with it. You haven’t tried everything yet! It is very possible that your nervous system and getting upper cervical care hold the key to your recovery. Check out upcspine.com for inspiring testimonials.